Gas and bloating is a fact of life. No one is exempt from it, so if you stumbled upon this post from googling, “Why am I so bloated?” you’re not alone (in fact, our search insights tell us that a lot of people want to know why sometimes their stomach feels like a big gas bubble). We’ve talked about the food culprits, and unfortunately for our digestive systems, there are plenty of them. But did you know some of our favourite drinks can cause an influx of gas and water bloat too? 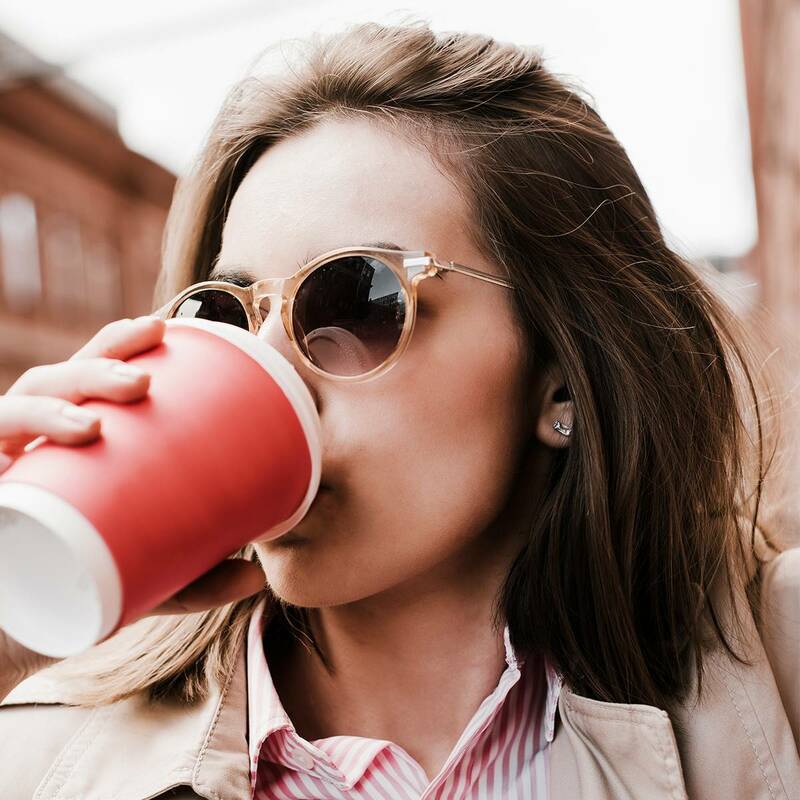 Since many of them can be additives in other drinks or seem like unlikely aggressors entirely, we thought we’d bring these sneaky sips to light. 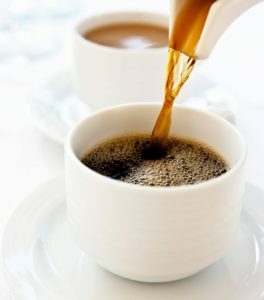 We apologise, as this news isn’t going to be received well by many: Coffee is a major cause of bloat. Its encourages colon movement, and interestingly, its effects on the colon are found to be comparable to those of a 1000-calorie meal. It stimulates gastrin release and gastric acid secretion, as well as intensifies symptoms of bowel conditions like gastritis, irritable bowel disorder, colitis, and Crohn’s disease. If you’ve been feeling stomach pain after your morning cup of java, you may want to switch to something less acidic, like rose-hip tea, which has a pH of 2 to 3. Lactose intolerance happens when people are deficient in lactase, an enzyme that breaks down the sugar in milk. 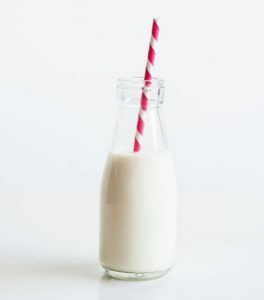 So when lactose (said sugar in milk) travels through your digestive system without being broken down, it pulls water from your gut, which causes gas, bloating, and painful discomfort. 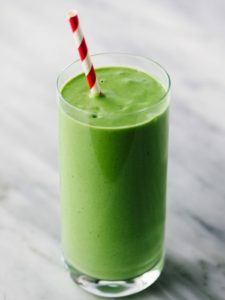 If you aren’t lactose intolerant, the issue might be casein, a protein found in milk which has also been linked to an intolerance causing gas and bloating. As someone who’s lactose intolerant, I’ve come to depend on dairy alternatives. I haven’t missed milk, especially since a lot of milk-alternatives are rich and creamy, and taste better to me than regular cow’s milk. The reason so many of them are creamy, though, is because of an additive called carrageenan, a seaweed extract. “Carrageenan is FDA-approved, but there’s a suggestion that it can aggravate intestinal problems, so you may want to avoid this if it upsets your stomach,” says Linda Antinoro, a registered dietitian with Harvard-affiliated Brigham and Women’s Hospital. 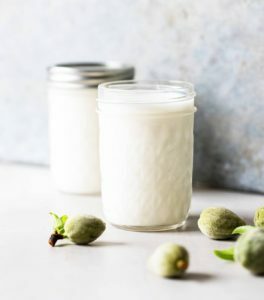 Take a look at this helpful guide to dairy and nondairy food and drink items with and without carrageenan. Apples contain a naturally occurring, but widely undigestible sugar called sorbitol, which has been linked to diarrhea, gas, and bloating. 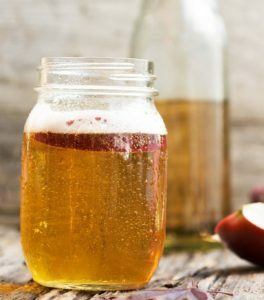 Some apple juices may also be artificially sweetened with chemical sorbitol, which the intestine still has trouble absorbing. 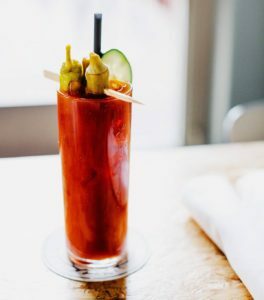 Salt in general is a big culprit of bloating—it causes your body to retain water as a way to try and dilute the excess salt in your body, so sipping on a salty drink (like a Bloody Mary) will lead to unnecessary water retention. 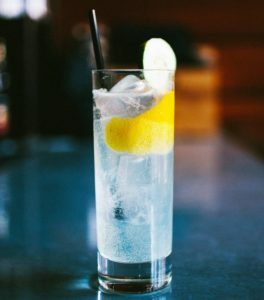 According to Go With Your Gut author and nutritional eating coach Robyn Youkilis, any carbonated drink (yes, even sparking water) can cause bloating. The fizzing bubbles in carbonated drinks are actually gas, which can get trapped in your stomach and make you feel like you’ve been pumped with helium. 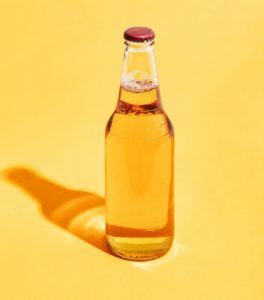 But it’s not just sparkling beverages—even drinking too much plain-old water can lead to bloating because it dilutes the digestive juices in your gut, Youkilis tells Well+Good. Artificial sweeteners like sucralose, aspartame, and cyclamate have been linked to digestive issues, since the GI tract has trouble breaking it down. Faux sugars have also been found to increase appetite, which could lead to even more stomach issues. Excessive alcohol causes breakdown in the natural protective lining of the stomach and leads to gastritis, an inflammation of this lining. Plus, if you’re combining liquor with carbonated soda (especially diet soda), you’ve got a lot of factors counting against your stomach. 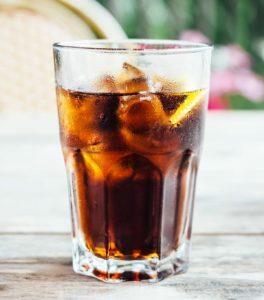 Sugar feeds the bad bacteria in our gut, so when we consume overtly sweet drinks, gut bacteria consume the simple sugars and use them to multiply, ferment food wastes, and in the process emit methane, hydrogen gas, and toxins into the intestines and the bloodstream. Sneaky “healthy” drinks like juices can sometimes be loaded with sugar, so be sure to check your nutrition labels. 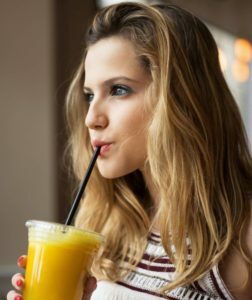 Any drink can turn into a cause of bloat if you use a straw—doing so means you’re sucking air into your stomach that you wouldn’t if you just sipped from the top of the cup. Plus, straws are a huge pollutant ruining our ecosystems, so if nothing else, you’re helping the environment by skipping the straw. Fancy a soak in Brad Pitt’s bathtub?